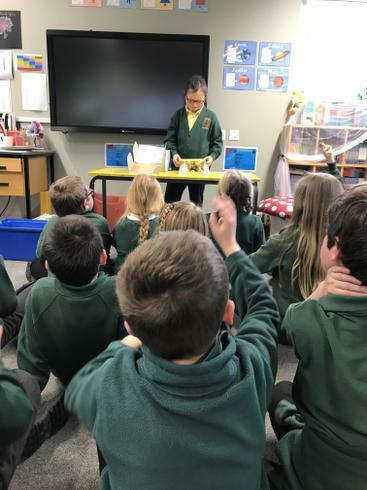 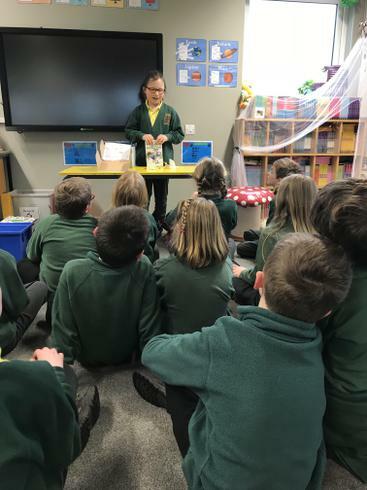 Thank you Lois for your brilliant book in a box presentation today! 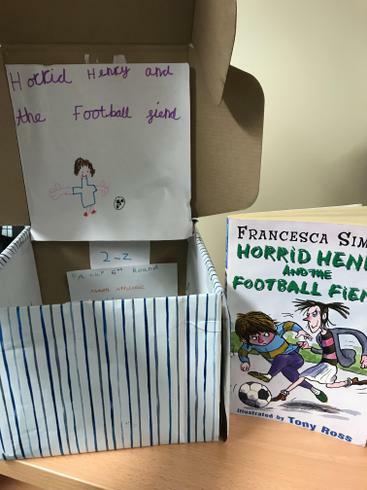 Lois chose another of Francesca Simon's Horrid Henry stories; 'Horrid Henry and the Football Fiend' for her presentation. 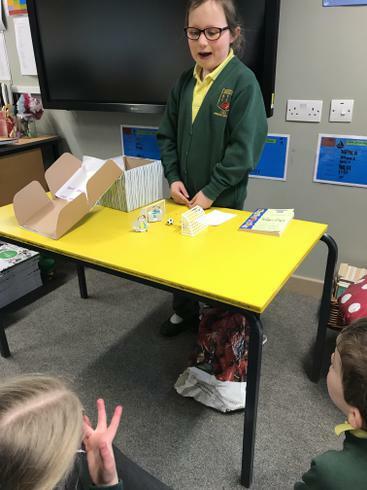 Lois's box was decorated on both the outside and inside to create an interesting and engaging display. 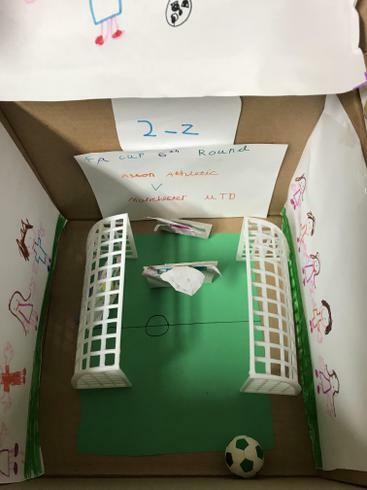 She began by using her homemade props to create the football pitch scene; complete with score board and crowd! 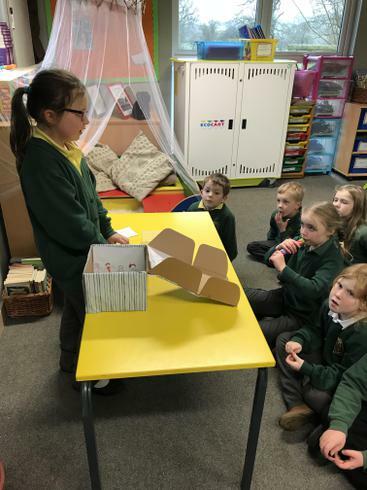 Then she went into the detail of the plot and answered some thought-provoking questions from the class. 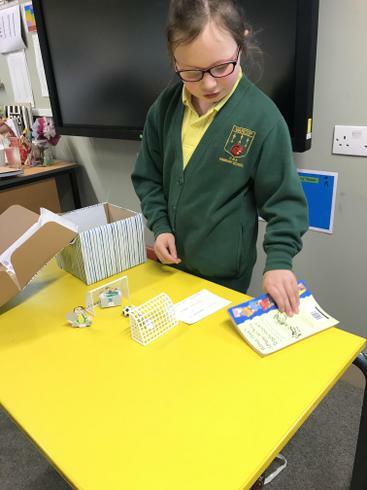 Great work Lois, we could see you worked really hard on your presentation - well done!